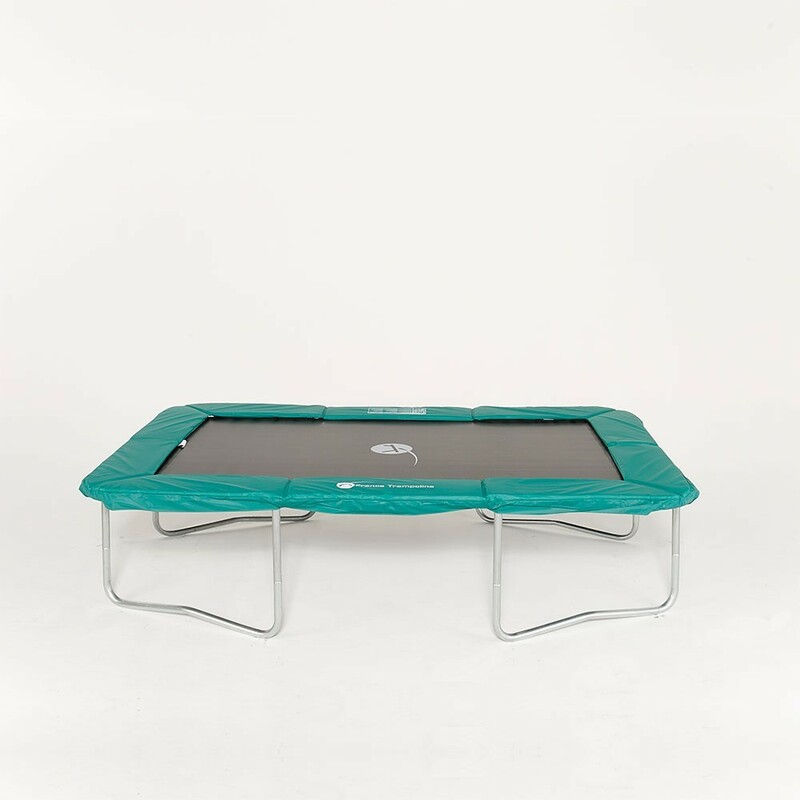 300 cm Rectangular trampoline, sold seperately, for dynamic jumps. Fits all gardens. 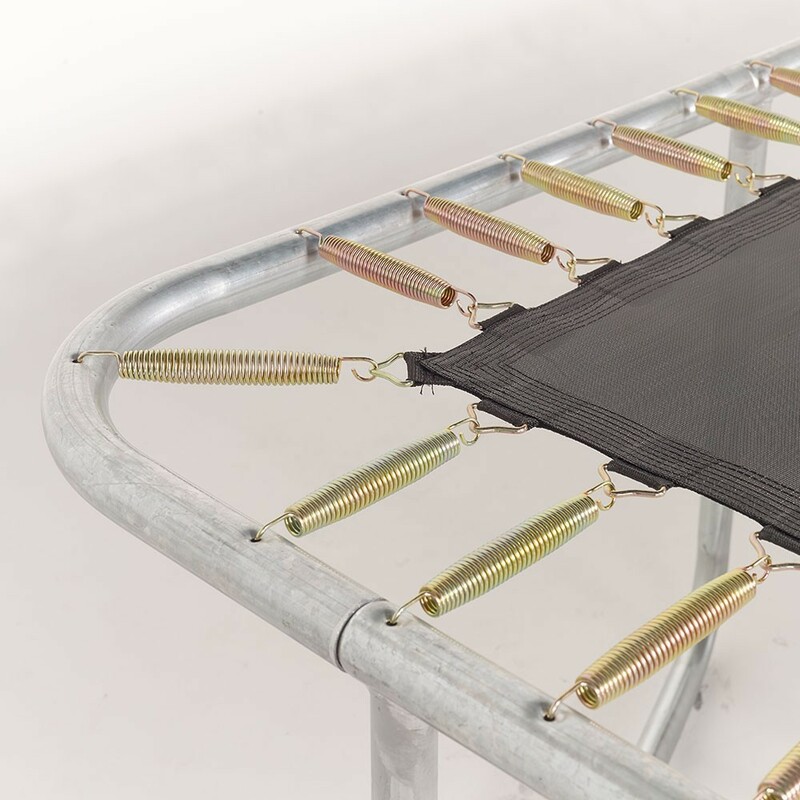 Has your Apollo Sport 300 trampoline had enough? 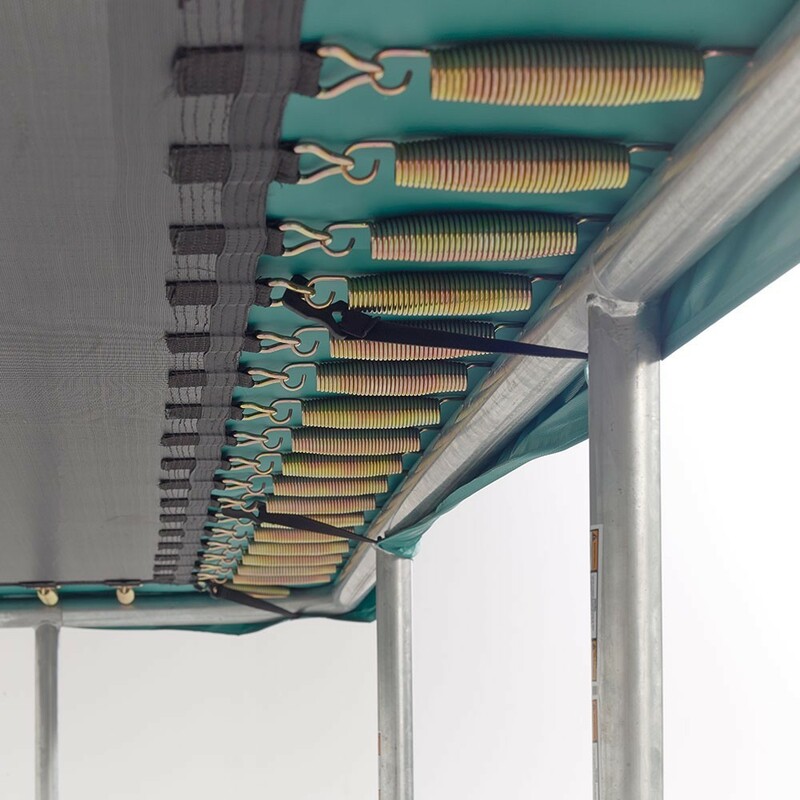 If your safety enclosure is still in good shape, you can remplace your old trampoline with the new model Apollo Sport 300 - 2017 edition. It will provide you with dynamic jumps and a good sport training. Designed specifically for thrill-seekers, its small size allows it to fit into any small garden. - Its rectangular jumping area measures 2.65 x 1.60m allowing the user (children or adults) to link their tricks. - Its 68 180mm springs are placed opposite eachother allowing powerful jumps and lots of energy. 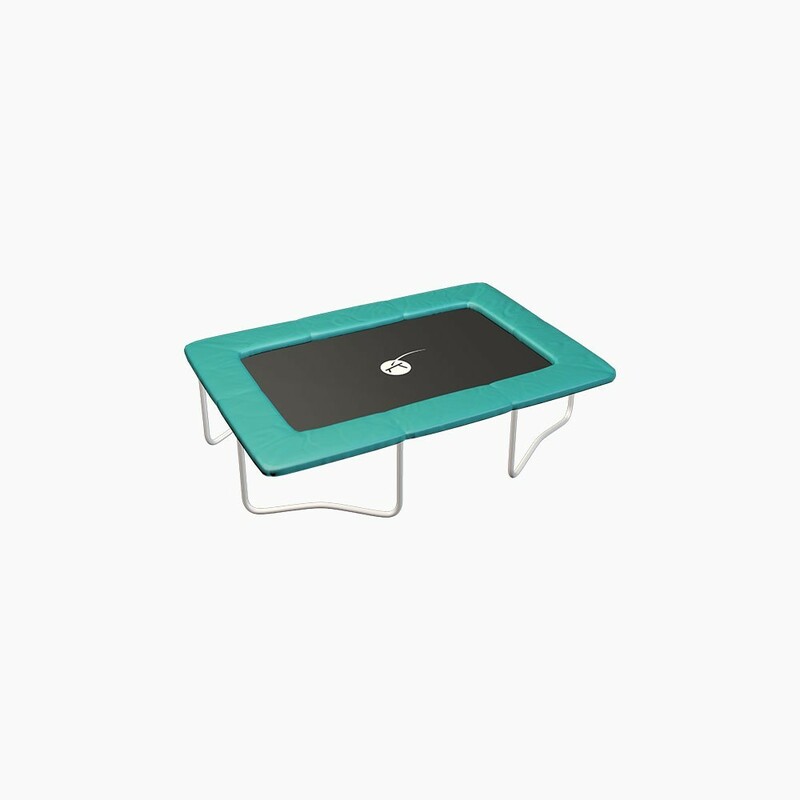 - Its rectangular jumping mat is made from ‘mesh’, a material renowned for its strength. It is consolidated by 8 rows of stitching and a strengthening strip. 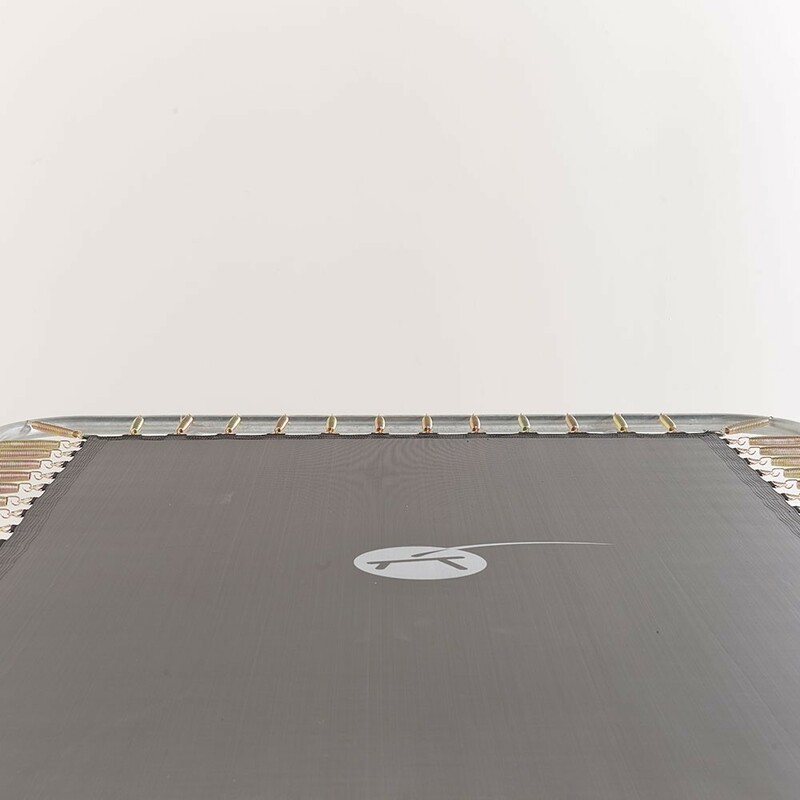 The mat is treated against UV rays in order to increase its durability in the sun. - The Apollo Sport 300 can withstand up to 130kg. 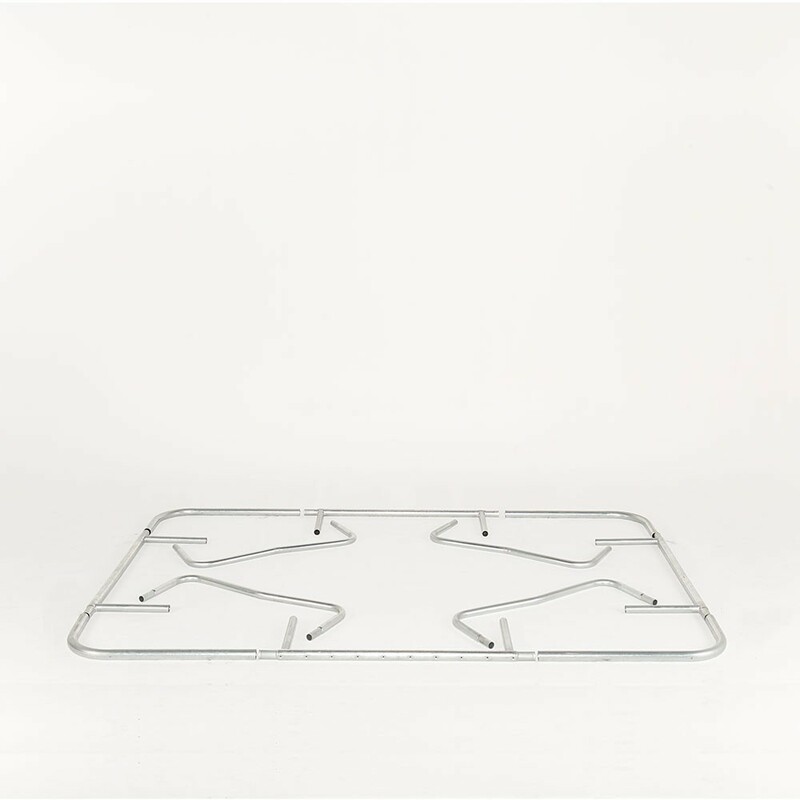 - Its 1.5mm thick hot-dip galvanised steel allows it to easily resists outdoors without fear of corrosion. - Entirely covering the springs, the 25mm thick dark green protective frame pad softens falls outside of the jumping mat. - The safety enclosure fixes itself to 4 stands and 8 posts. 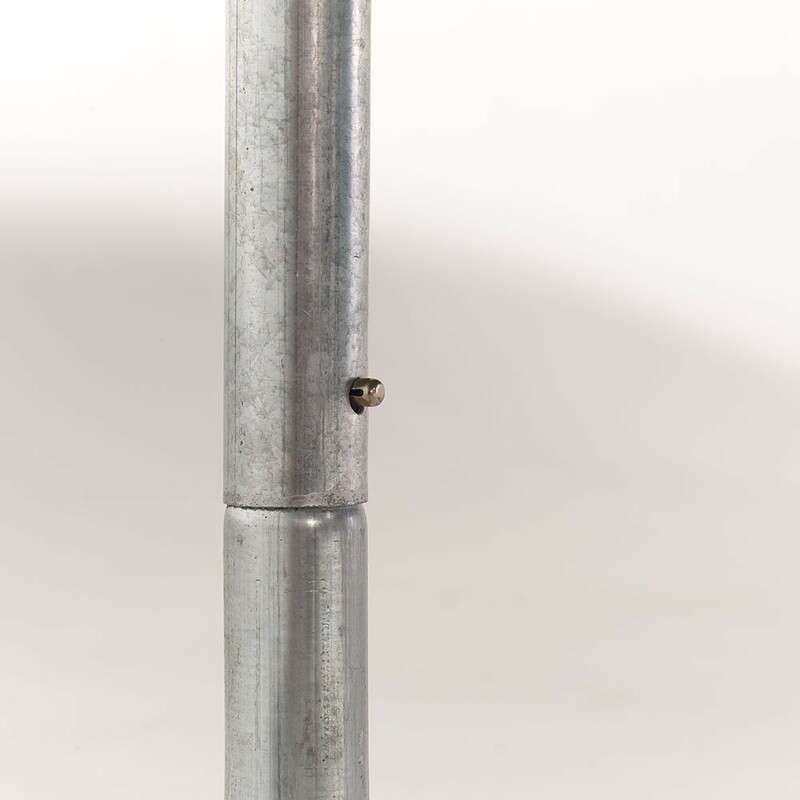 The stands have not been drilled and therefore cannot be used with an enclosure using screw fixations. Remember the posts are not sold with the trampoline bought alone.